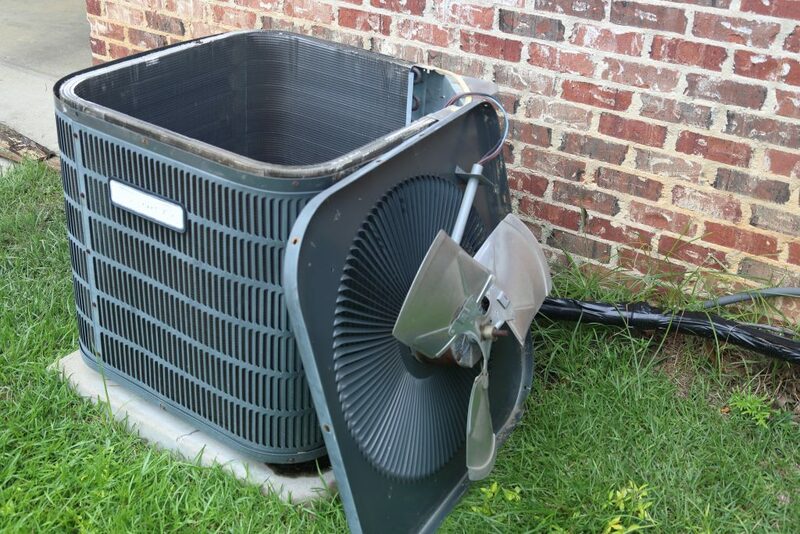 Is your air conditioner making a horrible noise again? Does it seem like you’re forever cleaning the vents only to find you still can’t get cold air? It’s probably time you called in your local HVAC expert. There are a few major signs to look out for when you’re thinking about calling in the pros. If your air conditioning unit is blowing hot air, chances are it’s time it was repaired. When a unit breaks down or stops working properly, blowing hot air instead of cold is the first sign it needs to be serviced. When hot air is being blown, it may mean your compressor is broken. Another issue it may indicate is a leak in your refrigerant. Getting it serviced as soon as possible will ensure the air conditioner doesn’t need to be replaced entirely. Your AC unit should never be surrounded by moisture. If you notice this happening, there is definitely an issue that needs to be addressed. One common reason for moisture forming around your HVAC unit is that there is a blockage in the drain tube. This forces condensation to move away from the air conditioner and causes it to surround your unit instead. Leaving this issue unrepaired could cause mold growth. This type of mold is harmful to the household, especially for people with asthma and allergies. Another reason moisture may form around the air conditioning unit is if there is a refrigerant leak. Leaks are larger issues than drain tube blockages, so it’s important to call an expert right away to get it fixed. Your unit should smell fresh and clean. If strong or rotting smells begin to come from your air conditioner, you definitely need to get it checked out. Occasionally this occurs because an animal has gotten stuck in the ductwork. This needs to be addressed immediately. Another cause of pungent smells is mold growth. Again, mold is a major health issue to families and should be looked into immediately. Lastly, a strong odor could indicate a burned through wire. This is a fire hazard and needs to be repaired to keep your home safe. Is there a clanking sound coming from your unit? Uh-oh. When you hear strange sounds emanating from the AC unit there is definitely an issue. This means that there is an issue with the motor. Getting it serviced right away will prevent you from having to replace the entire unit. Air conditioners have functionality that dehumidifies the room. If your home is becoming very humid, it could indicate a problem with your HVAC unit. Before rushing out to buy a dehumidifier, call up your local air conditioning specialist and get it checked out. Here at Augusta Air Conditioning, we’re just a phone call away!